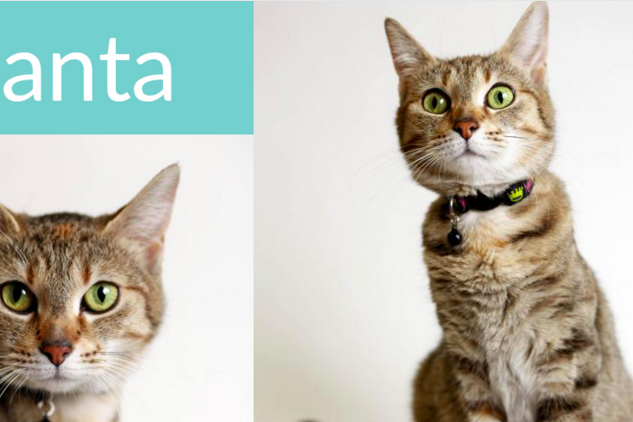 Lanta, a 2-year-old kitty, is Vela's first sponsored rescue animal. Philadelphia-based branding company Vela is starting off on the right paw with a stellar charity initiative built right into its business foundation. For every client Vela takes on, it will rescue a pet with the help of a partnership with the Philadelphia Animal Welfare Society (PAWS). Including all of the supplies, health care, food, maintenance and shelter, funding just one animal at a home like PAWS costs at least $264. So for every new client, Vela is taking care of those costs for one pet, keeping cats and dogs off the streets and out of kill shelters until they can find forever homes. To help the pets find loving families, Vela will be raising awareness about pets that have had problems finding homes and updating their clients on their sponsored pets throughout the project, called Aim 4 Animals. Their first rescue is a 2-year-old cat named Lanta (above). The pretty kitty is featured prominently on Vela's website, which includes adoption info about her and some fun facts - like that she loves to play with dangly toys. Keep checking back with Vela to see how many pets they save from the streets as their new project progresses.